THANK YOU THANK YOU!! A GREAT ending to an effing miserable week!! Owls are weird but also weirdly loveable. I might be inclined to admist that Owls are not jerks, but don’t quote me. I won’t quote you, TG, but, I have it in, ah, writing, ah, “Reply”?? 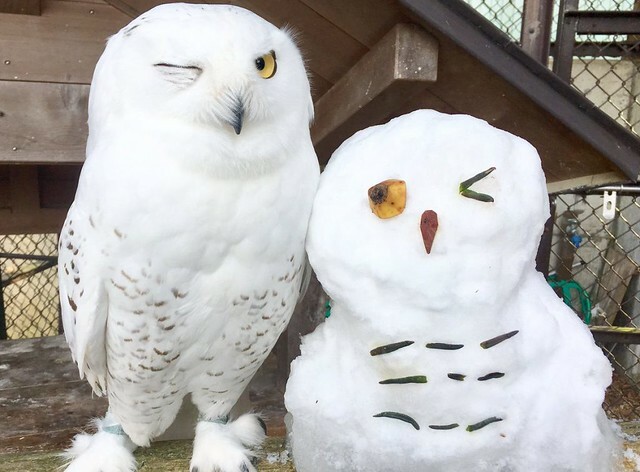 Snowy Owl has the hots for snow owl.